Have you seen massive groups of Boy Scouts flooding the Metro (and the Pentagon City Mall)? Yep, we have too. Center for Responsive Politics lets us in on the secret: the scouts are in town for the 100th Anniversary of Boy Scouts of America, and the National Boy Scout Jamboree, being held here in the DC area at Fort A.P. Hill. 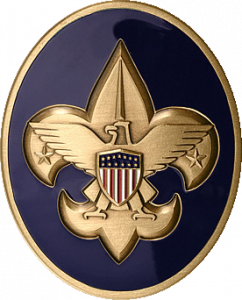 CRP’s Open Secrets blog highlights the lobbying connections of the Boy Scouts and the Girl Scouts in this post: “Professional Lobbyists Help Boy Scouts, Girl Scouts Ring In Centennials”. This entry was posted on Friday, July 30th, 2010 at 9:00 am and is filed under Lobbying News by Vbhotla. You can follow any responses to this entry through the RSS 2.0 feed. Both comments and pings are currently closed.